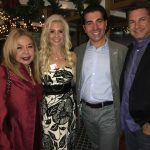 Jay Diamond & Alexandra Lebenthal attend the New York Botanical Garden Winter Wonderland Ball, which raised $250,000 for underprivileged children in New York City. Julianne Moore steps out at The National Board of Review Gala, raising money to underwrite educational film programs and seminars for film students. January Jones looks pretty in pink at Gala in Garden for the Hammer Museum’s exhibition and free public programs. 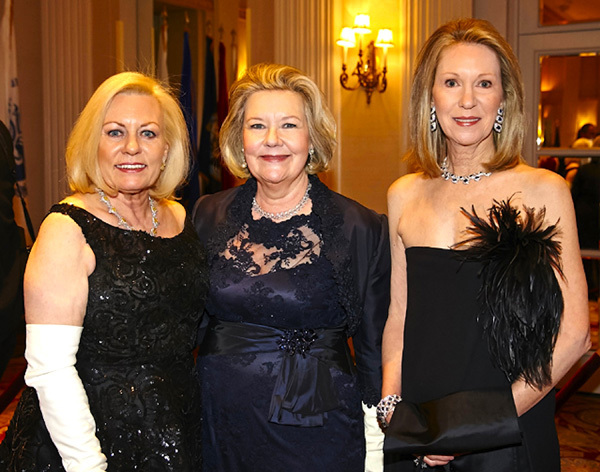 Honorary chairwoman Julia Kaufman, Ball Director Margaret Hedberg and honorary chair Anne Eisenhower at the 60th Anniversary of the International Debutante Ball in the Waldorf Astoria. Gillian & Sylvester Miniter attend the New York Botanical Garden Winter Wonderland Ball, which raised $250,000 for underprivileged children in New York City. Jake Gyllenhaal grace the red carpet at The New York Film Critic Awards at TAO Downtown. 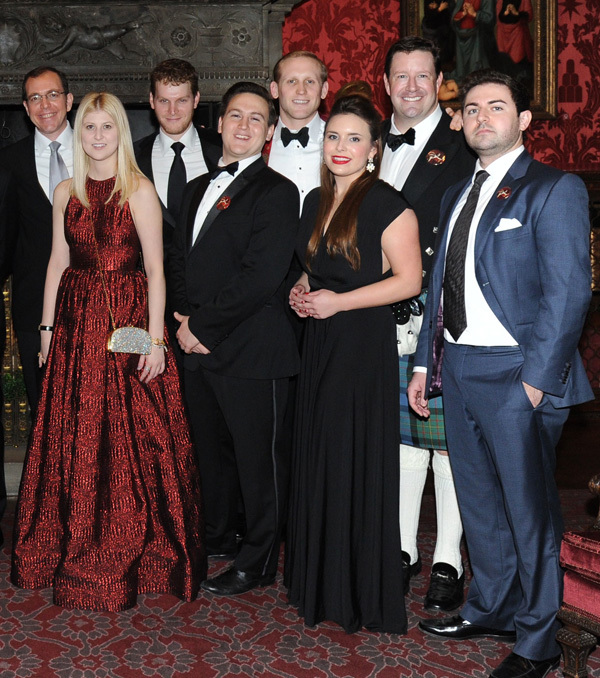 Eric Mandl, Paisley Kadison, John Darrow, Hillary Mazanec, John Diebold, Charlie Schlangen and Eric Blair-Joannou at The Morgan Musuem’s Winter Gala in the Library. Rose McGowan grace the red carpet at The New York Film Critic Awards at TAO Downtown. 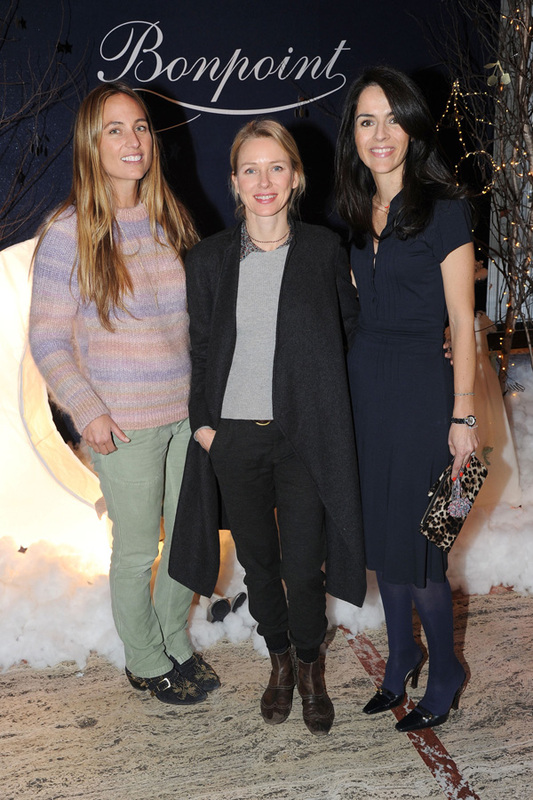 Jeanann Williams, Naomi Watts & Florence Mars at the NYCB and SAB Nutcracker Family Benefit for New York City Ballet’s and School of American Ballet’s education programs. DJ Oscar Adler & Miley Cyrus at Brooks Brothers’ Winter Party, which benefitted St. Jude Children’s Research Hospital.